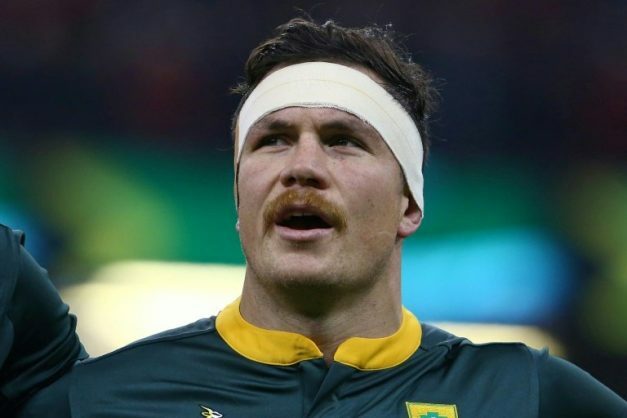 Veteran South Africa international Francois Louw has signed a new contract with Bath that will extend his stay at the English Premiership side into a ninth season, the club announced on Tuesday. The 33-year-old backrow forward, capped 65 times by the Springboks since making his debut in 2010, has made 130 appearances for Bath since arriving from the Stormers eight seasons ago. “I am delighted to have extended my stay at this club for another year,” said Louw in a statement issued by Bath. Todd Blackadder, Bath’s director of rugby, said Louw “is one of those players that every coach wants in their team”. “He is not only a world-class player, but he brings the leadership qualities which will continue to drive us forward as a team,” he said. Louw’s task for the rest of the season will be to help Bath secure a place in the play-offs — they are currently seven points adrift of fourth-placed Gloucester. Bath won the last of their six Premiership titles in 1996.